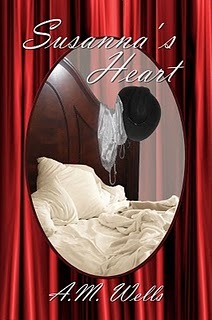 Talented new comer, A.M. Wells, debut novel, Susanna's Heart is in the number one position at Red Rose Publishing. YAHOO, For A. M.
Many congrats and many more sales. ...coming May 24th at Ellora's Cave!